On Nov. 12, 2012, at the NFL's Park Avenue offices in New York, commissioner Roger Goodell sat with his lawyer Jeff Mishkin and was deposed by attorneys for New Jersey Gov. Chris Christie, regarding the league's lawsuit challenging the state's new sports betting law. Attorney William H. Wegner, representing Christie, asked Goodell whether the NFL had ever considered putting a franchise in Las Vegas. "Not when I've been commissioner," Goodell replied. Wegner: What threats are there to the integrity of pro football in the United States? Goodell: Gambling would be No. 1 on my list. Things have changed markedly in five years for Goodell. We now have the Las Vegas Raiders, a stunning relocation of a storied franchise that will test the league's longstanding avoid-at-all-costs approach to Nevada, home to the nation's largest legal sports-betting market. To examine the NFL's decades-long adversarial public relationship with sports betting, ESPN Chalk curated a collection of public comments, deposition testimony and stated policy from current and past commissioners and NFL executives, beginning with then-commissioner Pete Rozelle in the 1960s. One of the earliest examples of the NFL's fear of sports betting came in 1963, when Rozelle indefinitely suspended Paul Hornung and Alex Karras after a league investigation found the two players had bet on NFL games and associated with known gamblers. Both players were reinstated the following year. It was one of Rozelle's earliest run-ins with gambling, but not his last. • April 17, 1963: "I thought about it at length. The maximum penalty for a player would be suspension for life. That would be for failure to report a bribe attempt or for trying to shave points. This sport has grown so quickly and gained so much of the approval of the American public that the only way it can be hurt is through gambling. I considered this in reaching my decision. I also took into account that the violations of Hornung and Karras were continuing, not casual. They were continuing, flagrant and increasing. Both players had been informed over and over of the league rule on gambling; the rule is posted in every clubhouse in the league, as well. Yet they continued to gamble. I could only exact from them the most severe penalty short of banishment for life." -- Rozelle in April 29, 1963, issue of Sports Illustrated. • August 1976: "I have frequently expressed my opinion that legalized gambling on sporting events are destructive of the sports themselves and in the long run injurious to the public." -- Rozelle in testimony expressing the league's opposition to the State of Delaware's sports lottery plan. Tagliabue was NFL commissioner and spearheaded the league's support of the Professional and Amateur Sports Protection Act of 1992, the federal prohibition on state-sponsored sports betting that has restricted legal sports betting to only a handful of jurisdictions. • Sept. 12, 1991: "The issue of sports gambling and the National Football League's interest in this issue is not an economic or a commercial interest. "It is a matter of integrity. It is a matter of the character of our games, of the character of our fans and a matter of values -- especially the values that we in professional sports and our athletes represent and transmit to the youth of this country." -- Tagliabue in a U.S. House of Representatives hearing. • Jan. 26, 1999: "As to betting on professional football games, the League's Constitution specifically provides that any owner, shareholder, or partner in a member club who engages in betting on any NFL game may be required to forfeit and sell his interest in the member club. (Article 8.13(C).) 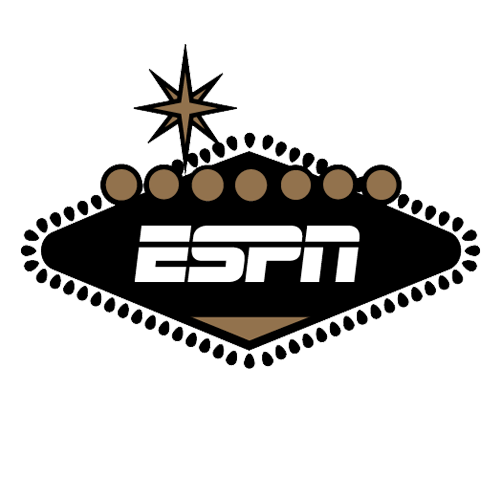 On this basis, the League has required strict separation between ownership of controlling interests in NFL teams and ownership of casinos such as those operated in Nevada. This is because those casinos, even though lawful and regulated by state authorities, conduct sports betting and, specifically, point spread betting on NFL games." -- Tagliabue in an NFL memo to chief executives and club presidents. Goodell's lengthy testimony included specific questions on NFL policy. Wegner: "Because in your view, legalized sports gambling in Las Vegas undermines the public's confidence in the character of the games?" Goodell: "It creates more gambling, it creates more gamblers and it creates the more likelihood that people are going to perceive it as being an influence." Wegner: "On what do you base the statement that the legalization of gambling in New Jersey will threaten to damage irreparably the integrity of the public confidence in NFL football?" Goodell: "It's a very strongly held view in the NFL, it has been for decades that the threat that gambling could occur in the NFL or fixing of games or that any outcome could be influenced by the outside could be very damaging to the NFL and very difficult to ever recover from. That's why we take the positions that we do with our policies and education and make sure that people understand that we'll enforce it vigorously." Wegner: "Let's stick with the London game, then, Commissioner. When that game is taking place, it's in a country that permits sports wagering, correct?" Wegner: "Do you think that's harmful to the NFL to have a game played in a country where sports gaming is legal?" Goodell: "Well, we're playing in their country, we're coming to them. And we're only there for a short period of time, we're there for two or three days. It's not what we choose, it's not what we believe is the best interest of sports, but we don't dictate the rules or the laws." Goodell wasn't the only NFL executive deposed in the New Jersey sports betting case. Lawrence Ferazani, the NFL's senior labor litigation counsel, was asked by lawyers for Gov. Christie about the league's ability to pursue lucrative television contracts, despite the presence of sports betting in Las Vegas. "The NFL is in a revenue-generating business," Ferazani said. "If the NFL believes that sports gambling would allow it to increase its revenue, the NFL would engage in that activity. Based upon our studies and analysis, we know that [sports betting] will negatively impact our long-term relationship with our fans, negatively impact the perception of our sport across the country." A lot has changed since that 2012 deposition testimony. The New Jersey sports-betting case is still ongoing, with the Supreme Court waiting for input from the Solicitor General. Daily fantasy exploded into a billion-dollar online industry, with NFL its most popular sport offered. Major League Baseball commissioner Rob Manfred, PGA commissioner Jay Monahan and MLS commissioner Don Garber have joined the NBA's Adam Silver in expressing willingness to re-examine sports betting in the U.S.
As a result, the NFL finds itself on an island of opposition, basically alone with the NCAA. Goodell has not publicly pivoted the NFL's position, and some insiders don't believe he ever will. Instead, owners like Robert Kraft of the New England Patriots and Jerry Jones of the Dallas Cowboys might be the ones speaking out in favor of a new approach. • Oct. 7, 2015: "It is hard to see the influence that [fantasy sports] could have on an outcome of a game because individual players are picking different players from different teams, mashing them up, if you might call it that. "And it's not based on the outcome of a game, which is what our biggest concern is with sports betting. So our position continues to be that way. But we recognize some states consider it legal, and some don't. We'll follow that law." -- Goodell at owners meeting in New York. • April 29, 2016: "All of us have evolved a little bit on gambling. To me, where I cross the line is anything that can impact on the integrity of the game. If people think it is something that can influence the outcome of the game, we are absolutely opposed to that." -- Goodell on ESPN's Mike & Mike. • Jan. 26, 2017: "We've seen changes in the culture around the country in gambling. We're obviously very sensitive to that, but we're also going to evaluate the Raiders case on the relocation application in what's in the overall best interests of the league. But one thing we can't ever do is a compromise on the game. That's one of the things we'll do is make sure the policies we've created, if we did in any way approve the Raiders, I don't see us compromising on any of the policies." -- on "The Herd" on Fox Sports Radio. • March 26, 2017: "We are not changing our position as it relates to legalized sports gambling. We still don't think it is a positive thing." -- to Peter King of Sports Illustrated.